Cayden has been fighting brain cancer for nearly 10 years. 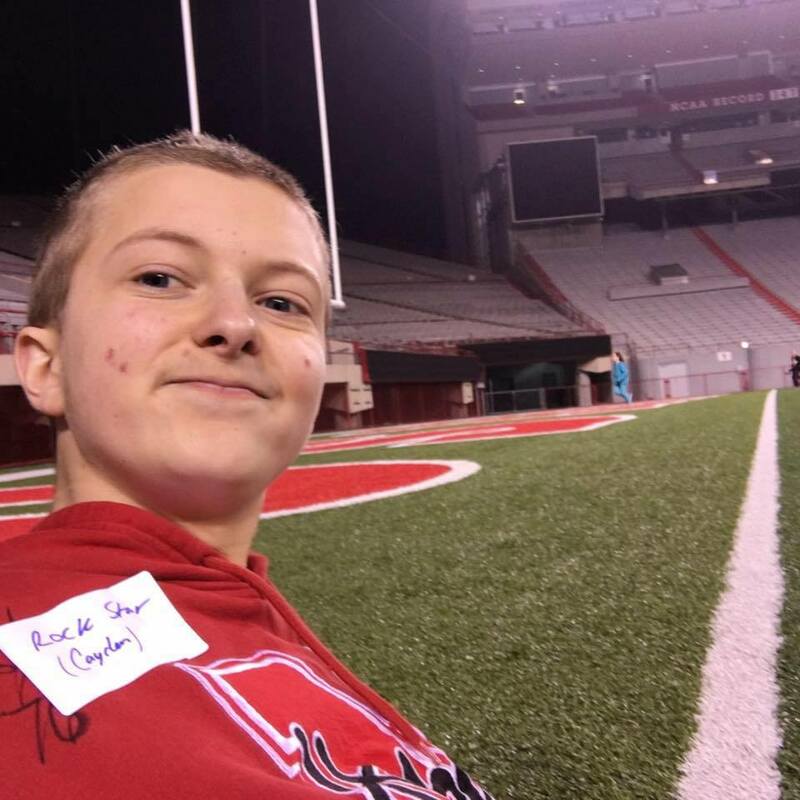 Cayden was at a Husker basketball game and was having a hard time walking in a straight line. His parents immediately took him in to the doctor. After an MRI, the doctor suggested the family go to Omaha right away to have surgery, as there was a tumor and fluid build-up. Cayden’s tumor location does not allow it to be completely removed. After surgery, he underwent rounds of chemotherapy. “It’s a few hours of getting medicine drained into you, and then the next few days, it feels like your mouth has a horrible taste in it. Then, you do lose some energy, and there are some muscle side effects to it,” Cayden said. “At the end of the day, it’s poison being dripped into your body to try to kill the tumor, and hopefully your body can handle it and let you repeat it,” Cayden’s Dad, Carter, said. After several surgeries and years of chemo, Cayden finally began to have stable scans about two and a half years ago. “I can't begin to tell you what it meant to not have weekly trips to Omaha, school work to make-up, worries about side-effects and paying medical bills on our minds 24/7 for a change. Hearing 'stable' scan after scan was truly a miracle, until June 2017 when we heard 'slight growth' and our hearts sank,” Cayden’s mom, Jennifer, said. From the get-go, they had been told this type of tumor doesn't normally grow, but it is in a dangerous place inside the brain stem. If it didn't grow, he would be fine, and typically when the patient approaches adulthood, the tumor mellows out. But since it has not been contained with previous treatments, the doctors are somewhat stumped. There has been talk of trying another chemo, radiation, surgery or a combination of more than one of those. Cayden was scheduled for de-bulking surgery in February to drain the cyst and remove as much of the tumor as possible, then get the tissue tested to see if the stage has changed from it's original '1' classification to something higher. Cayden was anxious to get surgery underway and attack the tumor; he doesn't like the "wait and see" approach. “Since he has had this kind of surgery before, I do remember what recovery was like and am not as anxious for surgery day to arrive. Considering my husband is on dialysis and awaiting a kidney transplant, and we still have a young daughter at home, having Cayden's tumor growing now is horrendous timing. The support of Team Jack means a lot to us, now more than ever,” Jennifer said.